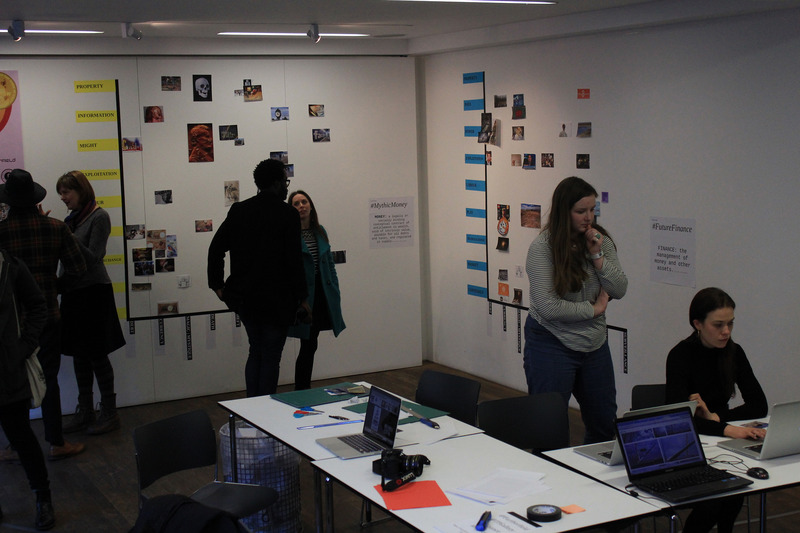 A weekend of image play, jargon-busting discussion, hacking and hands-on-exercises, to find out how we might unveil the financial sector. 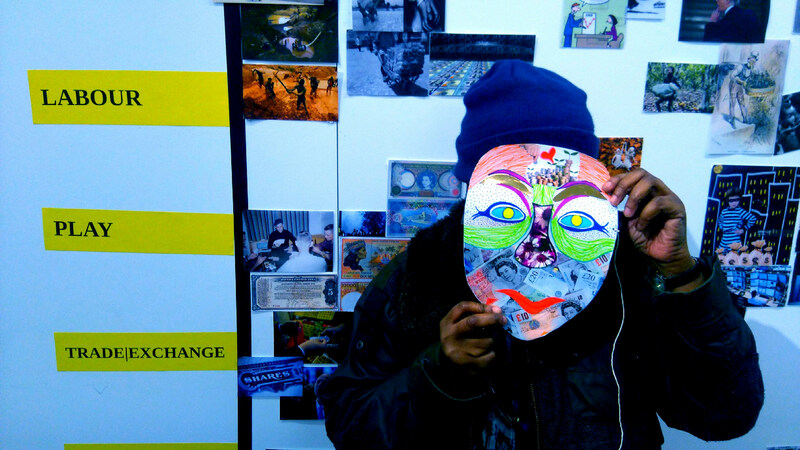 Changing the Image of Finance at The Photographers’ Gallery, London in March 2016 was part of the Art Data Money programme of labs, exhibitions and debates hosted by Furtherfield and developed with Brett Scott at the London School of Financial Arts. 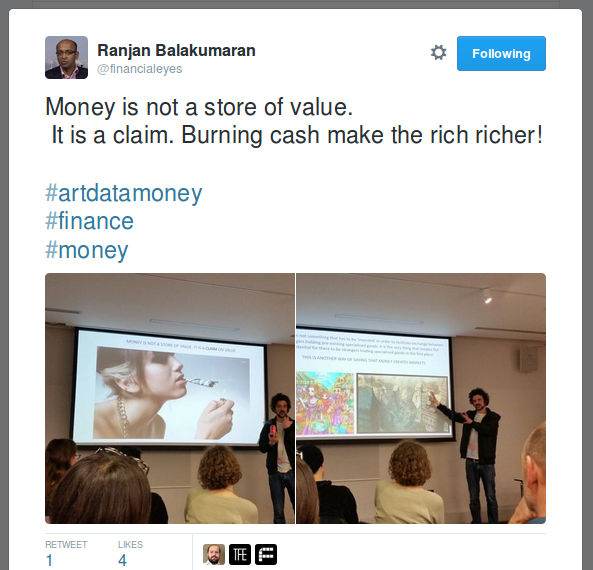 Art Data Money seeks to develop alternative economies for the arts in the network age. “What do we find when we search our minds and the web for images of money and finance? Coins and banknotes, trading floors with angry men shouting into phones, skyscrapers and stock charts. And does it matter if we don’t like what we find? Brett ran a series of presentations, seminars and workshops which included a range of activities such as “Build your own bank”. 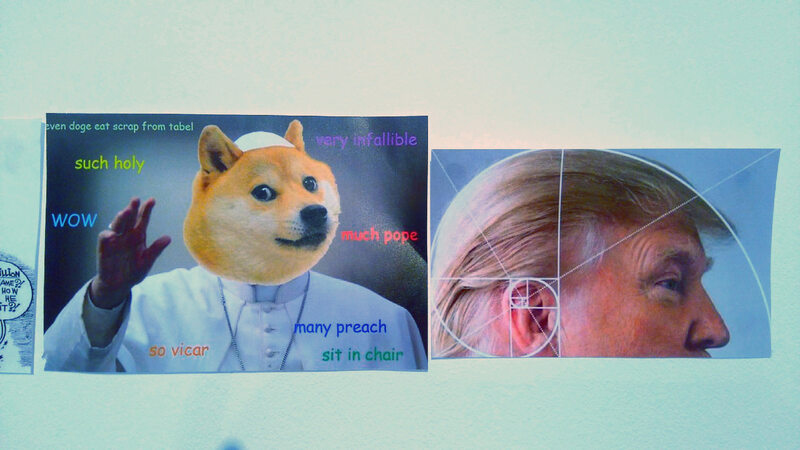 Meanwhile people were invited to add their images to these mood boards for #MythicMoney #FutureFinance online at the Flickr group “Other Finance“. They were added to physical mood boards on the walls of the gallery alongside images collected by gallery visitors from a range of photographic archives. These were in turn replicated online here and tweeted to intersect with global conversations about money and finance. 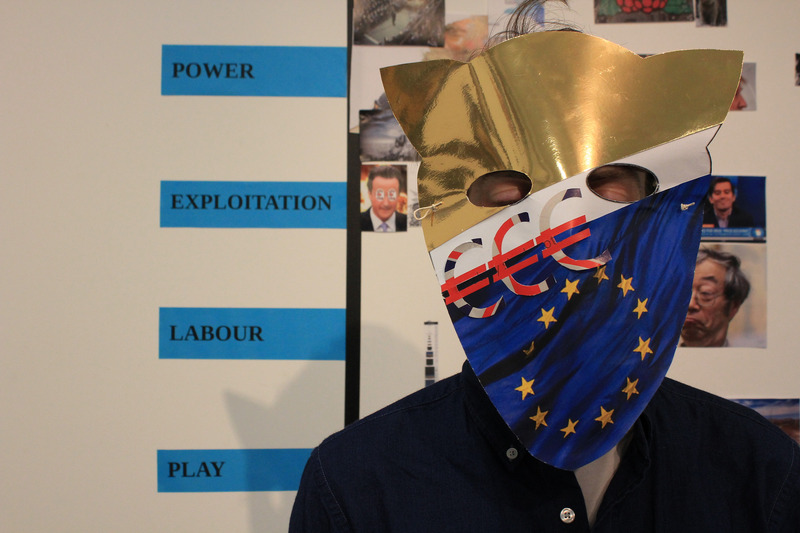 To end the workshop people created masks and modelled characters of future money- from the Money shaman to Lord Brexit.